LOWEST PRICE GUARANTEE – The rates & packages found on our website are the lowest available anywhere, anytime. Rate integrity is very import to us. It is the reason 60-70% of our guests come again. Guests that book directly can feel confident that someone who booked at the last minute, on a third party site, will not get a better rate than our loyal repeat customers. We cannot process dog or same day reservations online, please call the resort directly at 800.424.0041. These units feature a second bedroom and full bath in a loft area. In addition to the same spacious floor plan as our First Floor Water View Suites, these units feature a second bedroom and full bath in a loft area overlooking the great room and with a water view through the dormer window. 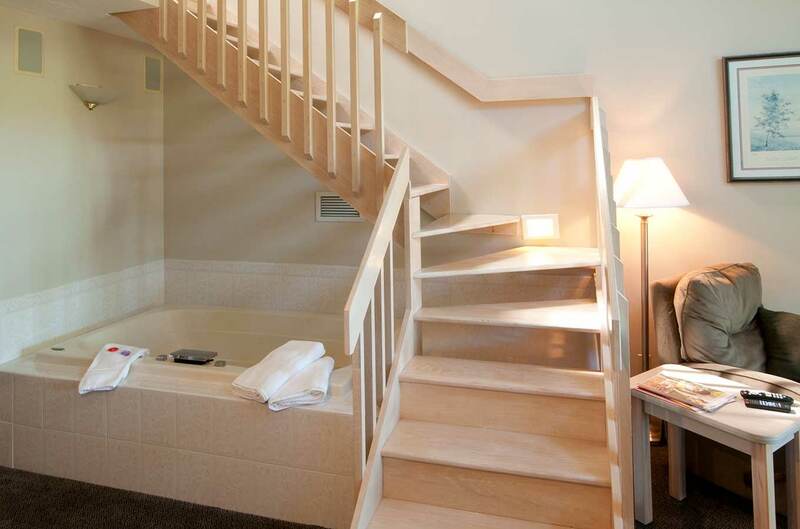 While these suites will accommodate a family or two couples, they are most often chosen by a couple for the second floor view and location, the spacious atmosphere of the vaulted ceilings, skylights and the loft bedroom. For Country House's at-a-glance rate chart and deposit policies click here. 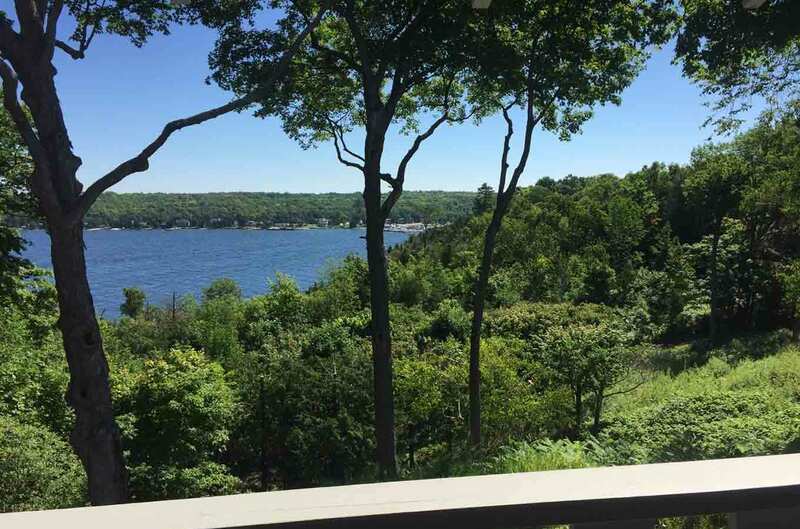 Looking for the best view in Door County? When only the best will do, enjoy this amazing view from our Penthouse Suite which encompasses the entire 3rd floor of our main building. Now get out and enjoy Door County! Check out our availability! Call us with questions! 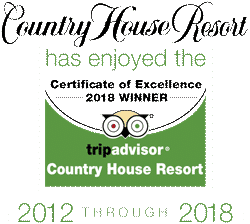 ©2018 Country House Resort click here to email us!